Thirsting for adventure? Explore the world that’s right in your backyard. A rail journey through the cities of DART will take you on a ride of discovery ranging from the familiar to the unexpected. Addison is an urbanist hotspot. You’ll find Italian food, Latin fare, New York-style pizza, taverns, sports bars, and an English pub, all clustered around the namesake circle, which is a quarter-mile from the Addison Transit Center. There’s live theater, too, at the acclaimed WaterTower Theatre, a small playhouse that’s one of the region’s flagship institutions for innovative theater. 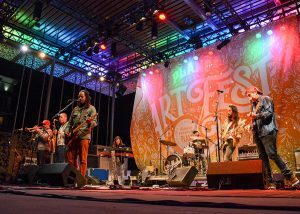 And right next to the transit center, big festivals like Taste Addison and Kaboom Town happen in Addison Circle Park. 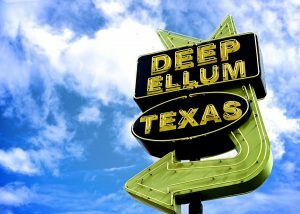 It’s not hard to ferret out the big attractions and vibrant nightlife in downtown Dallas. There’s the Dallas Arts District, for starters, with its showpiece buildings and first-rate institutions. But downtown is also your home base for transit forays into some of the city’s coolest adjacent neighborhoods. You’re never more than a couple of DART Rail stops from iconic Deep Ellum, a hotbed of music and art; The Cedars, an urban neighborhood of artists that has become an entertainment destination; and shopping and dining in West Village, a gateway to the broader Uptown neighborhood. The Bishop Arts District, with its diverse restaurants and unique shops, is just a short streetcar ride away. 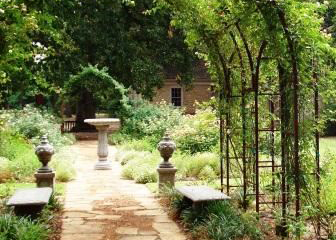 The Farmers Branch Historical Park is a 27-acre outdoor gem that is part park, part museum, and features numerous 19th-century buildings, including a train depot, school and old church. While you’re there, check out the Antique Rose Garden, where the flowers are grown without commercial fertilizers or pesticides. In addition to roses of all sizes, the fragrant respite features a daylily display. If you want to follow your visit with evening entertainment, just cross the street, where you’ll find a circa-1950s fire station converted into The Firehouse Theatre, a local mainstay of comedies and musicals. 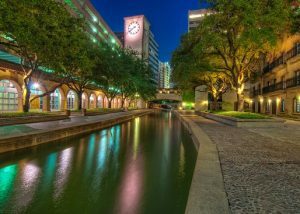 Las Colinas is a bustling, growing enclave of shiny buildings, restaurants, and canals. A truly one-stop entertainment option: the Toyota Music Factory, which boasts an amazing concert venue and plenty of dining-and-sipping options. You’ll find the flipside of this modern mecca in the Downtown Heritage District, with its quaint architecture, low-key shopping, and numerous restaurants including an honest-to-goodness soda fountain. There’s a reason they call it the Downtown Plano Arts District. The neighborhood is bursting with cultural venues. These include the Courtyard Theater, Cox Playhouse, ArtCentre of Plano, the Interurban Railway Museum, and several studios and galleries throughout downtown. McCall Plaza and Haggard Park host several live music series. The neighborhood itself is an artful blend of old and new, where historic buildings mingle with modern urban architecture. While you’re there, grab a meal or a beverage at one of many restaurants and taverns, or check out the cool array of boutiques. The Eisemann Center for Performing Arts brings new meaning to “eclectic.” The prime performing arts venue has a cool, modern design and hosts everything from musicals, to comedy and drama—plus stand-up performers, monologists, you name it. For pre- or post-theater dinner or drinks, head over to the next rail station, where the CityLine development offers a wide selection of restaurants in a walkable environment. Editor’s Note: For more DARTable adventure ideas, visit DART.org/DARTable.